January's Classical Music at The Chimney House! 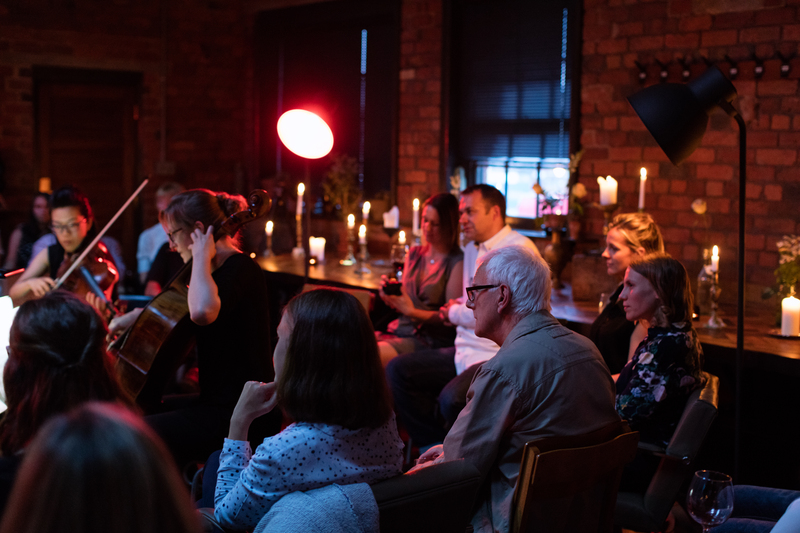 Join us to experience something magical this January, we have two evenings of candlelit classical music with the wonderful Manchester Collective. Your second chance to catch the acclaimed 2017 show from Nishla Smith and Manchester Collective, now presented by HOME Manchester and PUSH Festival. Manchester Collective open their 2018 season with a revival of this stunning show, Cabaret is a musical exploration of love and loss - alongside a brilliant and unlikely set of songs, the Collective present a devastating series of real stories, letters, and poems. We've overjoyed at the chance to experience this beautiful show again, the feedback from our last event was just glorious! One of our guests described the evening as "the most exciting and stimulating chamber music concert I've ever been to!" Manchester Collective describe The Edge of Fantasy as a journey into darkness, of daydream, desire, lust, and danger, and ultimately as music in its purest form. The show is about different types of fantasies. Janacek’s “Kreutzer Sonata” is based on the novella by Tolstoy, which describes a musical flirtation that leads the protagonists down a very dark path. 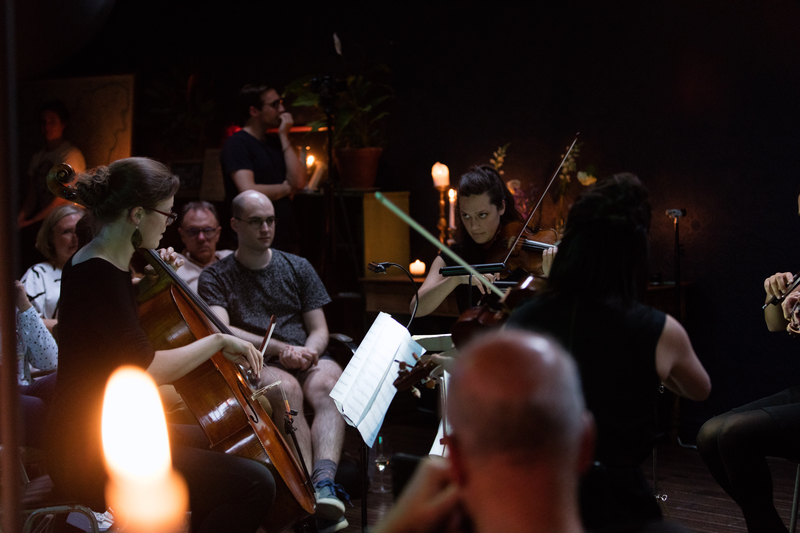 The Gorecki quartet that we perform winds its way into the depths of Eastern Europe, his signature “sacred minimalist” sound growing into something twisted and powerful. The work is titled “Quasi una Fantasia” - “Almost a Fantasy”. 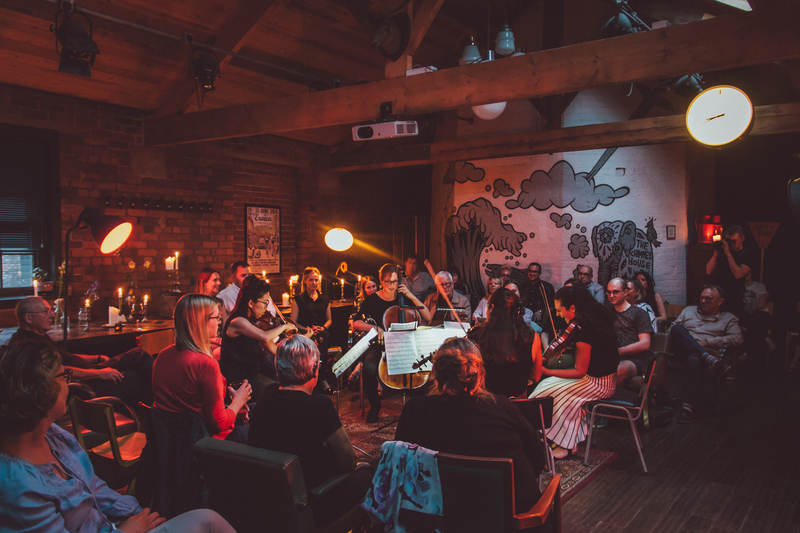 Manchester Collective promise a visceral live experience for audiences and performers alike, through great music.